Looking for a Leather Cleaner? Chem-Dry, the world’s largest carpet and upholstery cleaner, offers premier services in Leather Furniture cleaning and maintenance in Bellingham. Over time, body oils, perspiration, skin acids, and other soils can work their way into leather furniture. Many cleaning products are not appropriate for leather and may break down leather finishes, leading to dryness and cracking. Chem-Dry leather products are safe and effective for your leather furniture. With regular cleaning by John’s Chem-Dry of Whatcom County’s Certified Leather Specialist, you can prevent undue wear and keep your leather furniture looking great for years to come. Oils and Grease: Body oils from both humans and animals attach and hold onto leather. Hair and hand oils are easily transferred to the head cushions and armrests of the furniture and can cause serious damage to the protective finishes found on leather couches. Atmospheric Soils: Consider the dust that builds up on a coffee table or desk over a week’s time. This same dust is being deposited on your leather. In addition to this dust, there are airborne cooking oils and atmospheric pollutants present, to some degree, in every home. Common Soils: These soils include the common dirt tracked in from outside along with sand and fibers from plants. 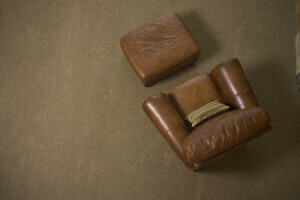 The fibers are brought in the home by adults, kids, and pets and attach to the leather every time the furniture is used. Dyes and Inks: The inks from newsprint in newspapers can readily be deposited on leather. Clothes such as denims can transfer dye onto leather in a process called dye transfer. The direct ink from a leaky pen or the aspiring toddler artist should not be forgotten. Over the life of your furniture, you are bound to experience some of the common problems associated with all leather furniture. Our Chem-Dry Certified Technicians are trained to address these problems. John’s Chem-Dry of Whatcom County has access to 60 stock pigment colors similar to the ones used in the tanning process to repair the inevitable scrape or scratch on protected leathers. We can also revitalize color on sensitive aniline leathers. How Often Should I Clean My Leather Furniture? We provide superior leather furniture cleaning throughout Whatcom County, including Bellingham, Ferndale, Lynden, Blaine, Sumas, Point Roberts & Lummi Island, WA. Call (360) 734-3551 today or schedule online for leather furniture cleaning in your area. 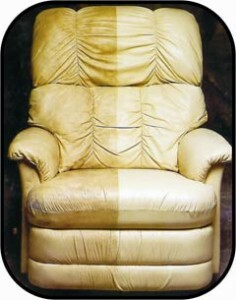 Why Pick Us for Leather Furniture Cleaning? Chem-Dry is known as the world’s largest carpet and upholstery cleaner, but we also offer premier Bellingham Leather Furniture cleaning and maintenance. Our specialized cleaning products are safe and effective for leather and with our regular cleaning, you can prevent undue wear and keep your leather furniture looking great for years to come. Oils and Grease : Body oils from both humans and animals attach and hold onto leather. Hair and hand oils are easily transferred to the head cushions and arm rests of the furniture and can cause serious damage to the protective finishes found on leather couches. Atmospheric Soils : Consider the dust that builds up on a coffee table or desk over a week’s time. This same dust is being deposited on your leather. In addition to this dust there are airborne cooking oils and atmospheric pollutants present, to some degree, in every home. Over the life of your furniture you are bound to experience some of the common problems associated with all leather furniture. Our Chem-Dry Certified Technicians are trained to address these problems. John’s Chem-Dry of Whatcom County has access to 60 stock pigment colors similar to the ones used in the tanning process to repair the inevitable scrape or scratch on protected leathers. We can also revitalize color on sensitive aniline leathers. We provide superior leather furniture cleaning throughout Whatcom County, including: Bellingham, Ferndale, Lynden, Blaine, Sumas, Point Roberts & Lummi Island, WA. Call (360) 734-3551 today or schedule online for leather furniture cleaning in your area.